This savvy little tail light can communicate with light sensing Edge cycle computers, like the Edge 1000 to turn on and adjust brightness in response to changing light conditions. When paired with an Edge, it can also change its brightness to alert traffic approaching from behind of your presence. Without being paired with an Edge, it still function as a tail light, but won't respond to changing light levels or approaching vehicles. 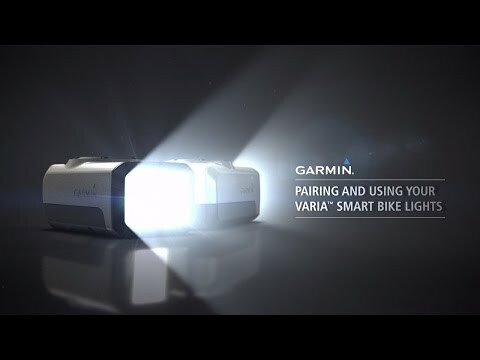 Pair with another Varia Smart Tail Light and the Varia Remote to make it function as a turn signal. Integrates with compatible Edge cycling computers. Dimensions are 3.8 x 9.2 x 1.7cm. Battery life (steady mode) is 4 hours. Communicates with the Garmin Varia using ANT and ANT+. Includes Varia tail light, seat-post quarter-turn mount, universal quarter-turn mount, micro USB cable and manual.